Unwind yourself with a soothing cup of Chamomile calmness – nature’s gentle way of bringing a peaceful end to a long hard day. Chamomile flowers have been attributed to have a soothing effect on the mind and body, releasing stress and aiding in sleep. 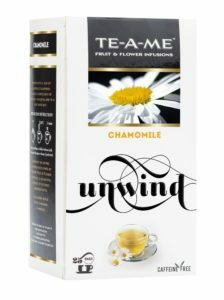 Best consumed in the evening or even after dinner, TE-A-ME Chamomile Herbal Infusion Tea is made from Egyptian Chamomile Flowers, imported and carefully packed in a sterile facility. How to buy TE-A-ME Chamomile Infusion Tea Pack of 25 Tea Bags?